At last the Encyclopedia of Fantasy is free and searchable online! Whether you've got a question about the literary history of the fantasy genre, or just want to know when a particular Godzilla movie was released, Encyclopedia of Fantasy will be there for you. 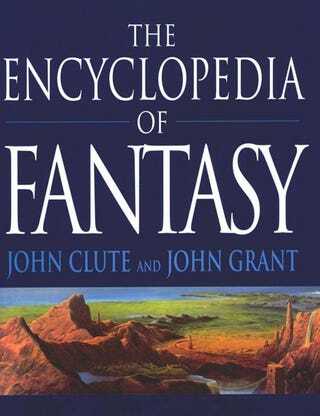 Written by John Clute and John Grant, it's a compendium of information far more detailed and knowledgeable than what you'll often find on Wikipedia. Plus, it's free and searchable online! In it, you'll find everything from literary entries on absurdist fantasy to triviagasmic ones on Zoltan, the Hound of Dracula. And you'll find yourself browsing through the well-written entries just for fun. Learn more about the Encyclopedia of Fantasy on the official website.